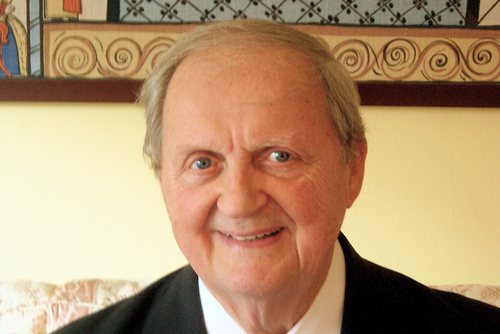 Clarence E. Pearson, an entrepreneurial global health and management consultant and networker extraordinaire whose career spanned 60 years, died peacefully at home in New York on May 24, 2014 at 89 from a rare form of cancer. His wife and professional partner, Laurie Norris, survives him. Pearson was a global health leadership and management consultant to non-profit organizations, transnational corporations, and government agencies at the national and international levels. He served as the Senior Advisor to WHO’s Department of Aging and Life Course and Senior Advisor to the President of the National Restaurant Association; AARP Volunteer Representative to the United Nations and the Council on Foreign Relations; member of the Board of Trustees, Frances Hesselbein Leadership Institute, Board of Directors, International Federation on Ageing and Board of Directors of Grantmakers in Aging. He served as Senior Adviser to the World Health Organization Office at the United Nations and Founding President and Chief Executive Officer of the National Center for Health Education (NCHE), the outcome of a Presidential commission. He was a loaned executive for a two-year White House assignment as Associate Director of a US Presidential Health Commission. Pearson also served as Vice President and Director of Health and Safety Education for Metropolitan Life. He also served as a member of the AARP Board of Directors and vice chair of the AARP Foundation Board; and the Board of Overseers of the Dartmouth Medical School. He led a President Eisenhower’s People to People delegation to study health and medical care in the People’s Republic of China and worked as a Consultant-in-Residence in Moscow, directing a management-training program. Pearson conceived and served as Executive Editor for a book series on global health, published by Jossey-Bass/John Wiley & Sons: Critical Issues in Global Health and Global Aging, and Urban Health: Global Perspectives. The fifth, Global Health, Poverty, and Longevity, was scheduled to be published in 2013. He was a Fellow of the New York Academy of Medicine, The Economic Club of New York and the University Club. He served as a mentor to many, and his contribution to the work of the Vitality Institute was always passionate. We are thankful to have had someone as inspiring as him on our Commission to promote chronic disease prevention and accelerate change.